IP67 is a rating often associated with ruggedized electronics, outdoor lighting fixtures, and other enclosures requiring a high level of sealing. 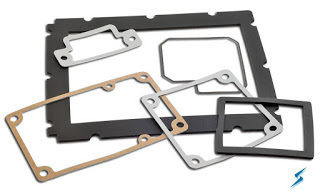 Stockwell Elastomerics manufactures custom rubber components for OEMs where reliable, long term IP, NEMA and UL sealing requirements are critical. IP67 requires an enclosure or housing to be dust tight (6X) and protect against water ingress (X7) when submerged up to 1 meter for 30 minutes; for many electronic manufactures, this is considered a minimum requirement. When a rugged device is designed the expectation is that it will be able to survive a longer submersion period and withstand a range of environmental conditions. Taking into account temperature extremes, drop tests, accelerated aging, and other conditions, silicone rubber is one of the best materials for sealing to IP67. Silicone rubber is a very versatile elastomer, it is readily available in soft, low durometers such 10, 20 on the Shore “A” scale, even softer closed cell silicone sponge is also available. These soft silicone grades are preferred since they easily conform to enclosure variations and “absorb” tolerance stacks, sealing under lower clamp pressures. These lower clamp forces are key for plastic and thin metal enclosures that can deform under too much load. This deformation quite often creates unintended ingress points. 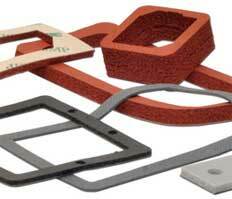 In addition to their low durometers, soft silicone rubber can be molded or cut from sheets. Silicones are inherently UV and ozone resistant, and have wide operating temperatures. On the low temperature side, silicone will remain compliant and functional below the glass transition point of other elastomers. On the high end of the temperature range, silicone is very stable, this stability helps resist compression set and stress relaxation where other polymers would take a compression set or permanent deformation. Sealing to IP67 and other IP, NEMA and UL50 standards can be difficult. Stockwell Elastomerics’ Applications Engineers work closely with OEM design engineers to help select the best material for their enclosure project.